Bengaluru Space Expo 2010 (25th-28 August) at Bangalore, India. BSX 2010 was organised by the Confederation of Indian Industry (CII) in association with Indian Space Research Organisation and Antrix Corporation in Bangalore. World Space Biz 2010- An International Conference on Space Business. Lighting of the traditional lamp by Dr. K Radhakrishnan, Chairman of ISRO and H E Prof Mohammed Abubakar, Minister of Science & Technology, Federal Republic of Nigeria. Inauguration of Bengaluru Space Expo (BSX) 2010. A replica of GSLV-III or Geosynchronous Satellite Launch Vehicle mark III at BSX 2010. KR Sridhara Murthi, MD of Antrix Corporation speaking on 'Leaders Forum On Space', at the World Space Biz 2010. Dr A Sivathanu Pillai, CEO and MD BrahMos Aerospace speaking during the World Space Biz, at BSX 2010. Dr A Sivathanu Pillai, CEO and MD BrahMos Aerospace , speaking at a seminar at BSX 2010. CII releases report on 'Overview of Indian Space Sector 2010' at the World Space Biz. A replica of the Geosynchronous Satellite Launch Vehicle (GSLV) at the ISRO pavilion during the BSX 2010. A replica of the Polar Satellite Launch Vehicle (PSLV) at the ISRO pavilion during the BSX 2010. 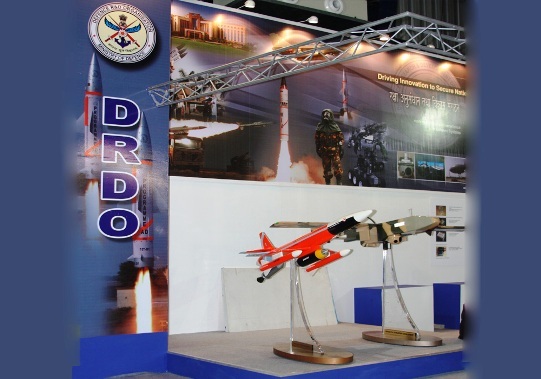 DRDO pavilion at the BSX 2010. BrahMos Aerospace paricipated for the first time at the BSX 2010. BrahMos Aerospace along with Brahmand pavilion at the BSX 2010. Model of the cryogenic upper stage (CUS) engine for GSLV. Pavilion of Ministry of Earth Sciences, India. Exhibitors and visitors during the BSX 2010. Hindustan Aeronautics Limited (HAL) participation at BSX 2010. Russian Navigation Information Systems (NIS) Glonass at BSX 2010. 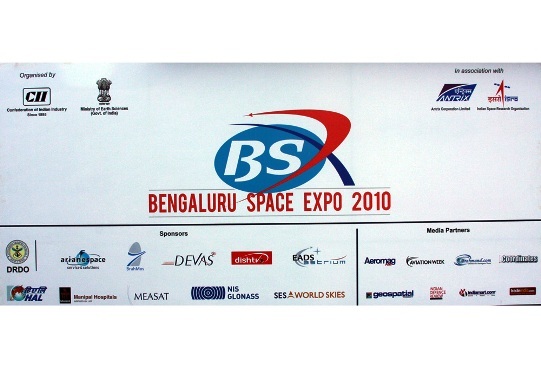 Brahmand.com was the online media partner for Bengaluru Space Expo 2010.